(Ottawa, Ont.) 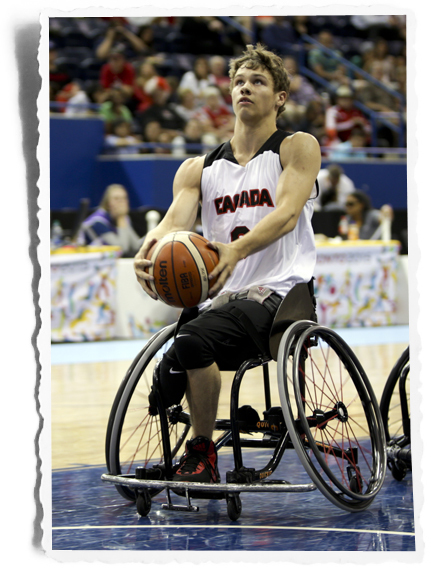 Wheelchair Basketball Canada extends its congratulations to Team Canada player Liam Hickey after he was named the junior male athlete of the year by Sport Newfoundland and Labrador at its ninth annual Stars and Legends Awards Gala on Saturday evening in St. John’s, N.L. A native of St. John’s, the versatile Hickey doubled as a national team athlete with both the Canadian Senior Men’s National Wheelchair Basketball Team and the Canadian National Sledge Hockey Team in 2015-16. Hickey won a silver medal in wheelchair basketball at the Toronto 2015 Parapan American Games while helping Team Canada qualify for the 2016 Paralympic Games in Rio. In six games at TO2015, Hickey averaged just under 12 minutes per game and tallied an average of four points per game. He is a hopeful to represent Canada at Rio 2016 this September.